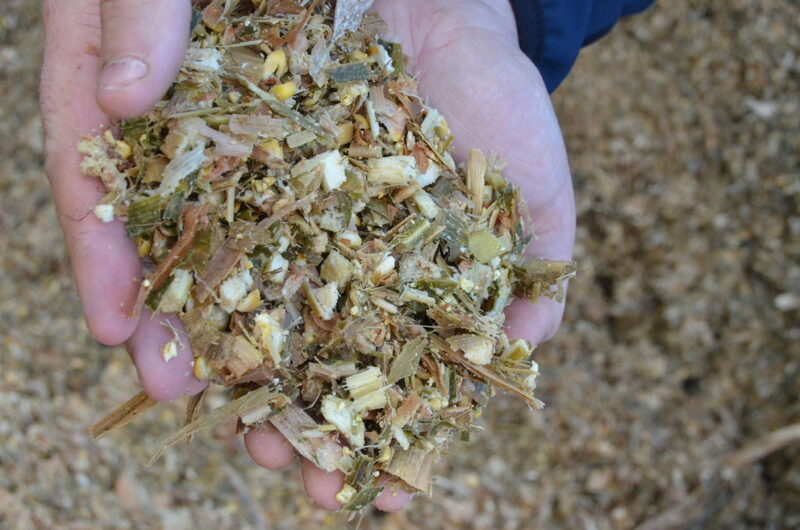 For many dairy farmers, rebuilding forage stocks is going to be essential in the coming year. Finding flexible ways to increase production will be important and having maize grown on neighbouring land could be a practical option for many. 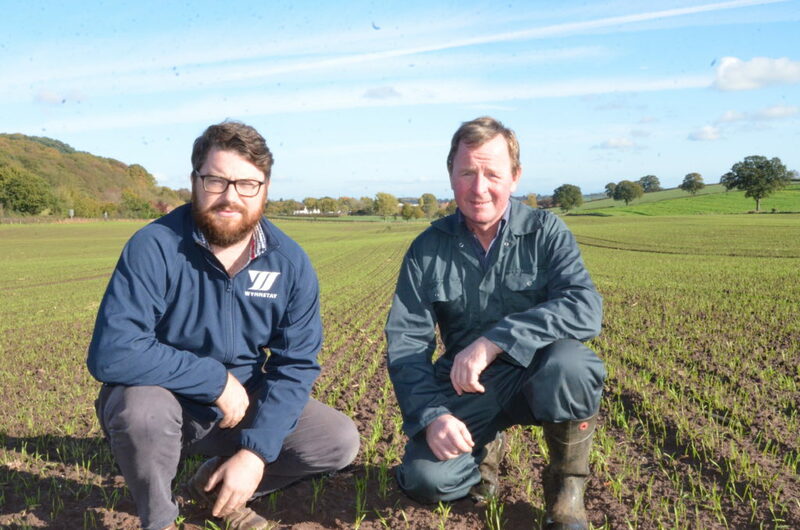 Growing maize on contract is proving a success for two Cheshire farmers, and variety selection is a key consideration in achieving the differing objectives of both parties. In 2017, Chris Latham who farms at Bulkeley near Whitchurch took the decision to stop milk production, selling his 150 cow herd and youngstock and moving into beef and arable production on his 115 acre unit. He had previously grown maize and while it suited the soil type it did not suit his rotation. But moving into an arable rotation meant maize could fit well and had the advantage of being a good way to clean land and control grass weeds ahead of wheat. A discussion with Neil Lewis who runs a herd of 140 cows five miles away with his son Michael, lead to the opportunity to grow maize on contract. “We have grown maize since we went back into milk four years ago,” Neil Lewis explains. “We want to feed maize all year round and for it to be a larger component of the diet so were looking to increase production. However, our farm is on heavier ground and while it is well suited to grass, maize can be a challenge. Central to the agreement was variety choice and as Sarah-Jane Baldwin, from Wynnstay explains the challenge is selecting a variety that suits the farm and meets the objectives of both parties. “From Neil’s viewpoint the key drivers are yield of forage and forage quality, optimising the feed produced on the acreage grown,” she comments. “Chris, however, is not directly concerned with physically output. His requirement is a crop which is off early allowing him to drill successor crops in good time. At the same time, being an ex-dairy farmer he appreciated the need for a high quality feed. “We chose the LG Variety Reason because it had all the attributes we needed and it was the same variety that Neil was growing on his own farm and had been pleased with. By allowing an increased acreage and growing maize on more suitable land, the arrangement would more than double the quantity of maize silage produced. Clear responsibilities and split of costs was agreed at the start of the season. Chris was responsible for all growing costs with a price per acre agreed for the harvested crop. Neil was responsible for harvesting costs and had total control over how the forage was made. The acreage cost was split with 50% up front and 50% in September. Wynnstay agronomist Charlie Dolphin provided on-going agronomy advice. Early vigour was particularly important this year as the crop was sown two weeks later than usual on 6th May, but Chris waited until soil temperature had risen and he could produce a fine seedbed after the wet spring. The seed rate was 45,000 seeds per acre. Being an ex-dairy farm, P and K were high, so no bagged fertiliser was required but Calcifert was applied to the seedbed to get the pH close to 6.5. 175kg/ha of nitrogen were applied pre-crop emergence. Weed control was carried out post-emergence using mesotrione and nicosulfuron. At the same time a micronutrient was applied. Chris Latham was pleased with how the Reason performed in a difficult season. After drilling, the first rain it received was on 1st June with no more for six weeks. From mid-August onwards Charlie Dolphin regularly assessed the crop as it was maturing quickly. In his experience Reason dries down quickly which makes it easier to ensure harvesting at the optimum 32-35% dry matter. The crop was harvested on September 14th which was a fortnight sooner than anticipated and yielded around 20t/acre with good feed value. The early harvest ensured Chris could follow up with winter wheat into a good seed bed. 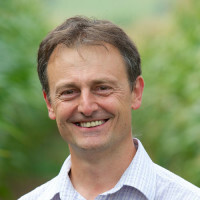 “Growing maize on contract has been really successful,” Chris Latham comments. “It suits our rotation well and helps with weed control while Neil has produced an increased amount of quality forage for the winter. “By planning everything up front and working closely with an experienced agronomist about key decisions such as variety choice and harvest date, we could meet our differing objectives successfully. With dairy farmers having to consider ways to rebuild forage stocks, maize on contract could be a productive option for 2019.